This week we were celebrating Maslenitsa - the analogue of Mardi Gras and Fat Thursday in other countries. The other name of this holiday is Pancake week, so the traditional dish during this week is pancake. We decided to follow this tradition at work. We agreed, that everyone should cook pancakes and bring them for the coffee break. It was so much fun all the week. My turn was on Friday and I decided to make special pancakes. I added cocoa powder to the dough and had chocolate pancakes. Mix eggs with sugar. 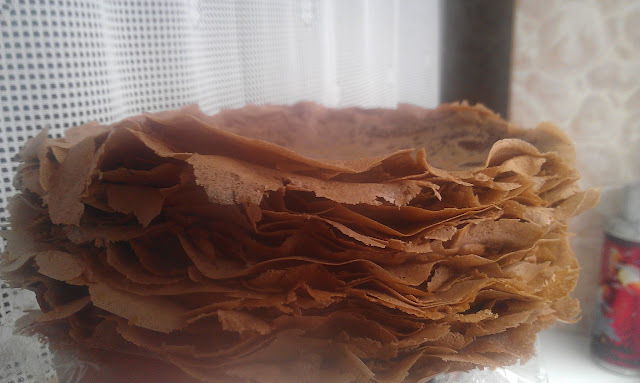 Then add flour and cocoa powder and mix well. After that add milk and mix again. Cook pancakes. Also I wanted to share the picture of the Dude that lives on my table at work. 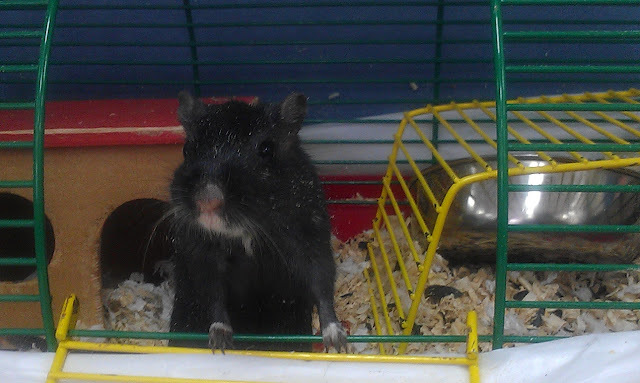 This is a cute gerbil boy - my coworker's pet. He asked me to watch for him while he was in a business trip. Two weeks passed since then and this Dude is still on my table. He likes sweets and seeds and also likes to make noise, but I love him. 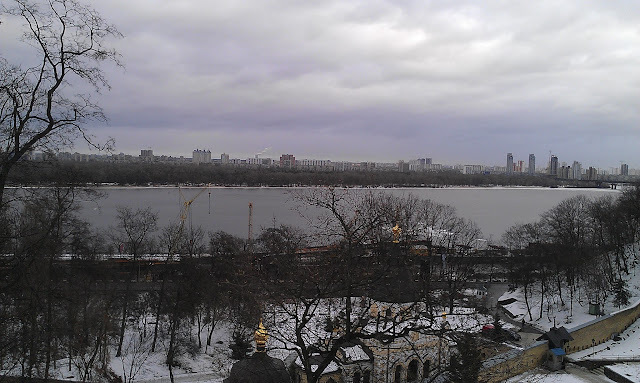 Yesterday I was in a special mood and decided to visited Kiev Pechersk Lavra - I wrote about it earlier here. The views from there are still snowy, but at least our river Dniper is not covered with ice any more. 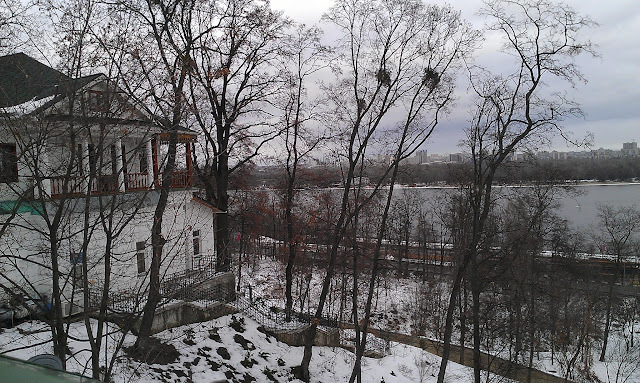 A few new masterpieces appeared on Lavra's territory. 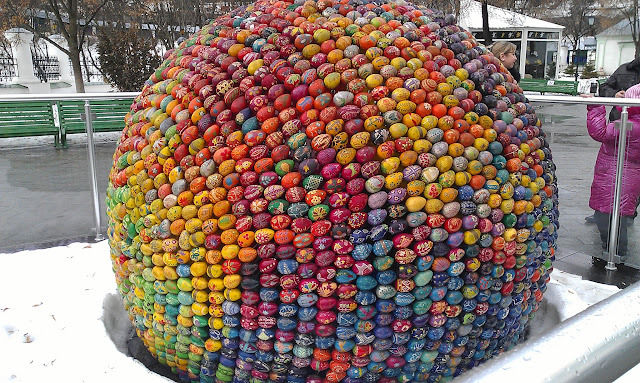 You can see one of them on the picture below - sphere made of wooden Easter hand-painted eggs. Hope you've had a good weekend! See you. Какая красота! Родной Киев... спасибо за фотки.